Fancy a no-frills, honest fast food concept serving some delectable Gyudon beef dishes and Tokyo Ramen at a rather affordable price? Look no further than SUKIYA, Japan's leading gyudon chain by number of locations. I was at their Kota Damansara branch the other day to try out their fares, and it was good. Oh, did I mention, SUKIYA actually got themselves halal certified for their main signature dishes. 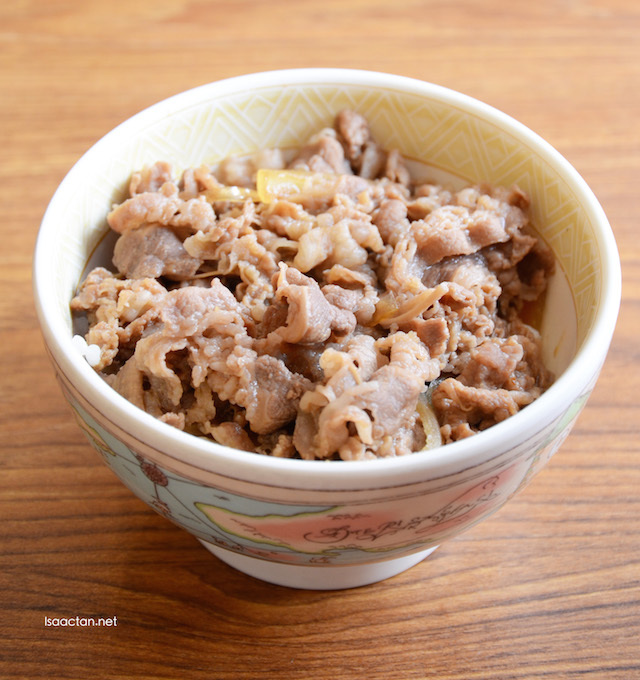 Sukiya offers delicious beef bowl dishes at affordable prices with great service. 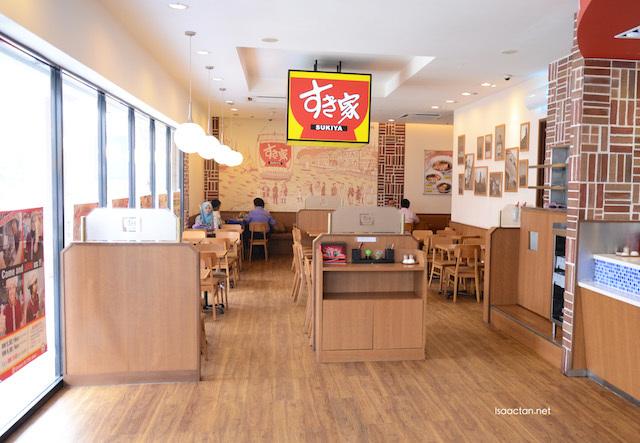 With ample comfortable seating place, this fast food Japanese restaurant can cater for everyone from singles dining, to families opting for an affordable meal out. Simple, no frills decor, with wooden-like furnishing all round, SUKIYA does come off as being a relaxing comfortable place to dine at. They have just gotten their main dishes halal certified recently, and with that they introduced some new arrivals to their menu. Check out what we had below. SUKIYA's signature Gyudon comes in three sizes, small medium and large depending on your appetite. It comes in these rather cute bowls, Japanese short grained rice below, with lots of delicious beef strips marinated to perfection. Love how the grain-fed beef is presented, with lots of onions for that flavourful taste. Trying out the medium sized version, I do think it is enough to satisfy my cravings for beef. Good pricing too, for the portion, in a Japanese restaurant. If you want something other than your usual gyudon, then by all means go for SUKIYA's Triple Cheese Gyudon. 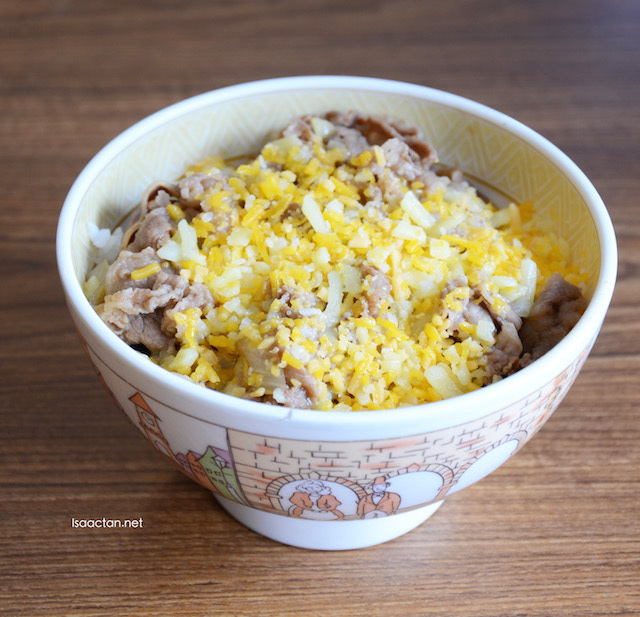 Served with three types of cheese mixed with the rice and beef, this has to be my favourite dish at SUKIYA. This dish also came in three sizes, small, medium and large, with increment of RM2 each size. 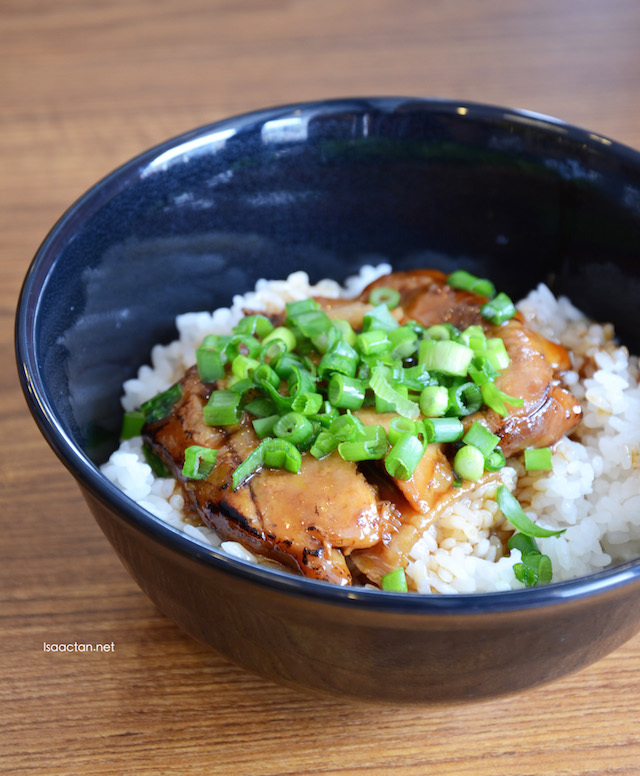 Still on their menu, SUKIYA serves some really nice Teriyaki Chicken Rice, with tender chicken thigh doused in teriyaki sauce placed atop a bowl of warm Japanese short grain rice. The sweet teriyaki sauce does wonders to the flavours of the dish. Served in two sizes, medium and large, the medium one is more than big enough for my appetite. Of course, heavy eaters may want to go for their large sized portion. Other than their delectable Gyudon dishes, SUKIYA introduced in their menu the Tokyo Ramen dishes as well. Served piping hot, I like their ramen, not too hard, nor too soggy. Of course for it's price range, don't compare with the higher end ramens served at other japanese restaurants. Akin to our local 'wan tan mee', this soy based soup goes very well with my palate. I do wish there were more chicken meat thrown into the dish though. SUKIYA serves another dish, the Tokyo Chicken Ramen which has 'double chicken' going for RM10.40, similar to this dish, but with double the chicken portion. 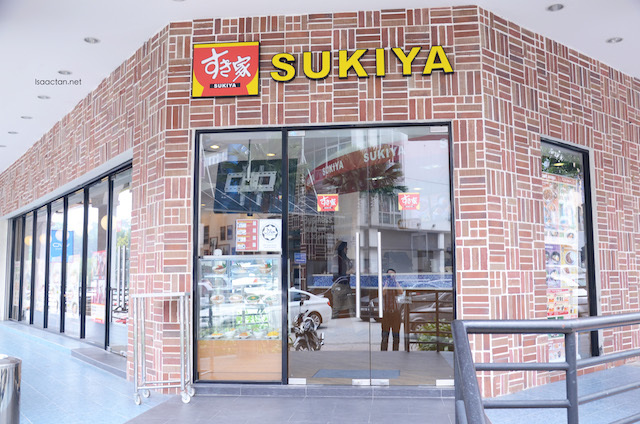 Do check out SUKIYA at any of their five outlets nationwide (Taipan USJ, Uptown Damansara, AEON Bandaraya Melaka, Kota Damansara, and IOI City Mall) for your Gyudon and ramen fixes at an affordable price. Was that your reflection in the glass door? LOL!!! their pricing is reasonable for Japanese food..a family of few having meals there seem affordable. It's close to my working area. always my choice for lunch or dinner. Reasonable price range!! so yummy, I am hungry now. Yesterday I was in Kota Damansara for friend's wedding. If anything gyudon is my fave Jap dish... but with cheese? Oh wow this is making my mouth water! That Ramen looks really tasty. The teriyaki chicken rice is something I would try too! Tokyo Ramen looks delicious. Will try this out as it makes me feel hungry now. love your pics, you sure made it look so yummy. i personally love going to this place in another branch too. love the concept a lot.